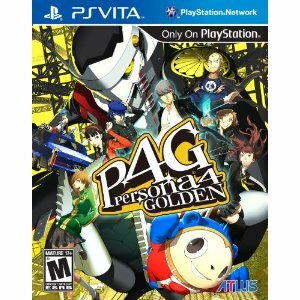 Does the Vita Really Have Console Quality Games? Nope. 5-inch touch screens, graphics are par with early PS3 games, and dual-analog controls are all nice Sony, but you just don't seem to get it do you? If the Vita really does bring you console quality gaming to a handheld platform, which it certainly could do with its technology, how about you actually bring console quality games to the system? Don't look at me like that Sony fanboy, you know its true. Unit 13 is a stripped down version of S.O.C.O.M., Little Big Planet is a stripped down version of, well, Little Big Planet, Assassin's Creed Liberation is a stripped down version of Assassin's Creed 3, etc. If you want console quality games on the Vita, stop stripping games down and simplifying them and instead put actual console games on your system, Sony! As of now, and the PS Vita is not new anymore, the only two console quality games that come to mind are Persona 4: Golden and Rayman Origins, with the latter not being a technically impressive and deep game on consoles in the first place. This is pretty much the only console quality game on the Vita so far. With the recent release of Jet Grind Radio and a lot of new cross-play games like Playstation All-Stars, Sony is certainly in the right direction. However because they started the Vita with stripped down games, third-party publishers followed their lead and it will be interesting to see if Sony can fix that.